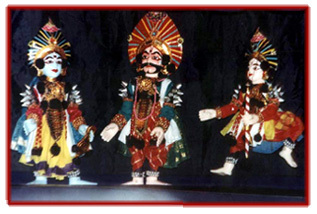 Indian epic whose episodes in Sanskrit – or in different language and dialect adaptations – constitute an essential part of the repertoire of shadow theatre and the various puppet theatre traditions in India and South East Asia. 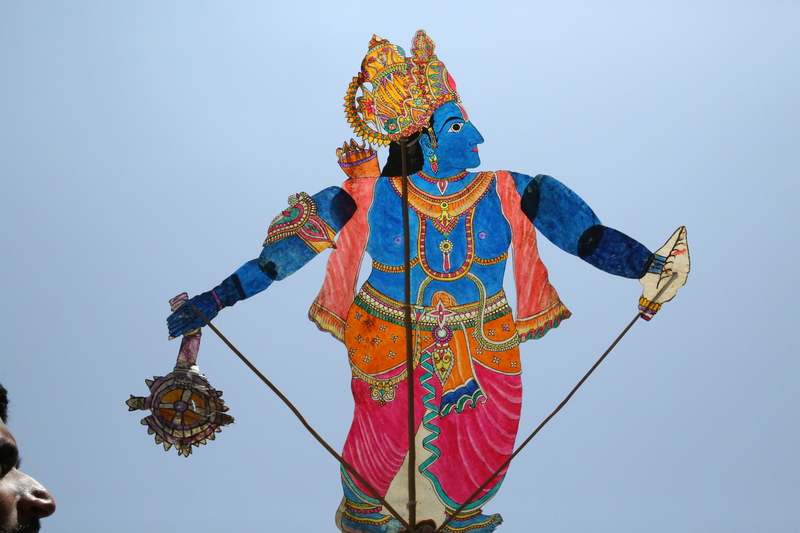 Viewed in this way, it is also connected to the Ramayana with which it shares a fundamental role in Indian culture. The Mahabharata, with its eighteen books and its supplement – approximately one hundred thousand couplets or two hundred thousand verses in the longer Northern version – constitutes without doubt the longest epic poem in world literature. It was compiled throughout the centuries, from the end of the Vedic era (towards the middle of the 4th century BCE) to the 4th century CE. This compilation is attributed to the legendary poet Vyasa. The title Mahabharata signifies “the great (tale of the battle of the) Bharata”. The main subject is, indeed, the battle between two families, the Kaurava and the Pandava, offspring of two brothers of the Bharata clan, and the great battle that they wage. The poem reflects the state of ancient India before the Maurya Empire, not only on a legendary and mythical level, but also by its philosophical, political and judicial excursus. The sixth book, the Bhagavad Gita, a dialogue between the god Krishna and the hero Arjuna (one of the Pandavas), is considered to be a gem of spirituality. The death of Abhimanyu, Arjuna’s son. 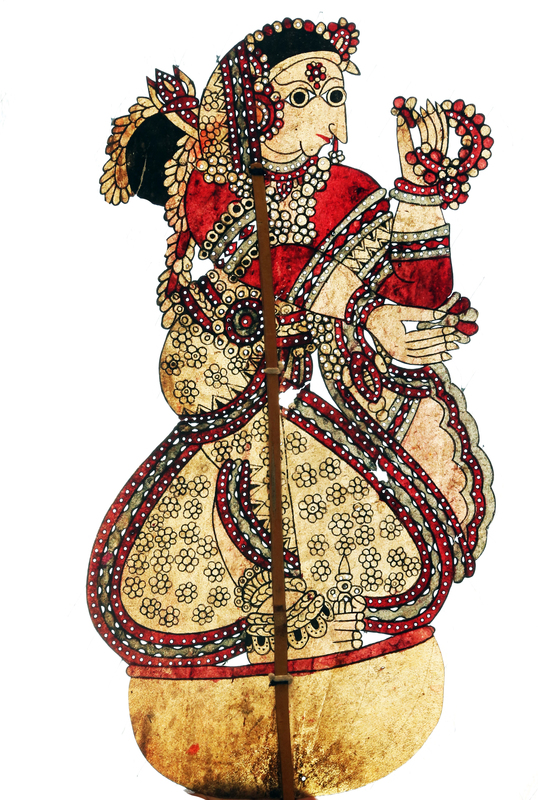 In ancient India, the Mahabharata episodes were told by sutas, a type of professional wandering bards who offered their services in royal courts and recited or sung these stories while playing a lute or rattle, or by clapping their hands. The sing-song of these storytellers and ritualists was complemented by the representation of characters from the invisible world through the use of shadows behind a screen, engendering certain theatrical forms like the tolu bommalata, the togalu gombeyata or the ravanachhaya. 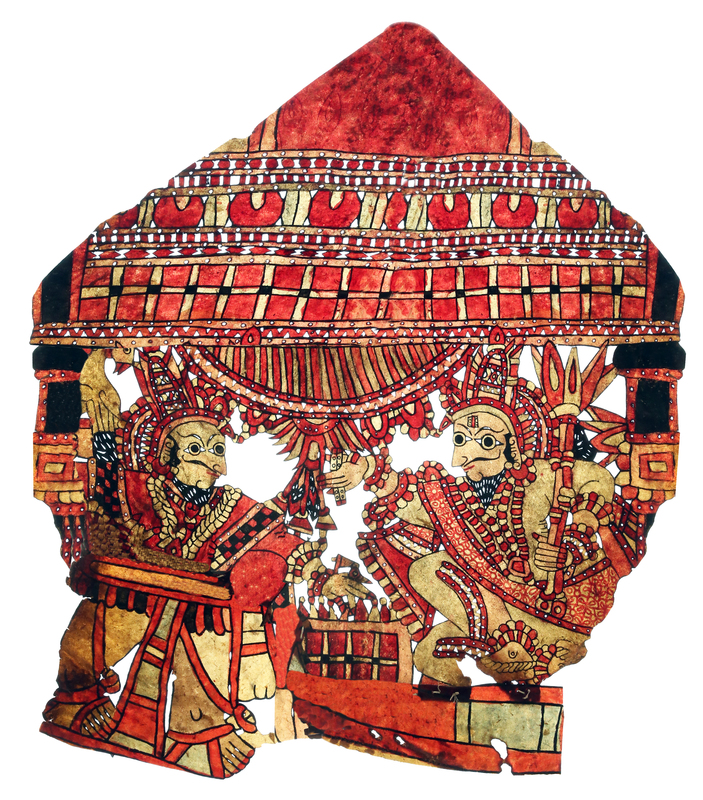 The screen, which became a curtain or “ripping of the universe” (tirasila), can still be found in kathakali dance drama. Derived from the heart of India, since the Kaurava Kingdom corresponds to the Delhi region, the Mahabharata spread through the sub-continent and in all of South East Asia. 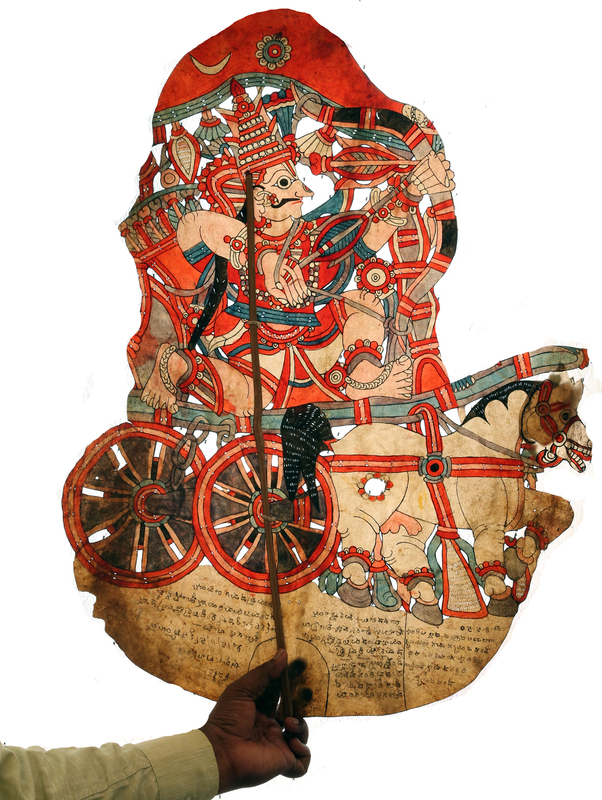 In Myanmar (Burma), Thailand, Cambodia, Malaysia, and Indonesia, the Mahabharata gave birth not only to important literary works, but also to theatrical expressions intimately linked to national cultures. 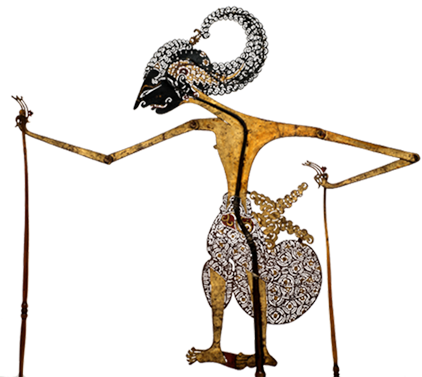 In the Malay version, Hikayat perang Pandawa jaya, the epic remains close to the Panji cycle and serves as support to shadow theatre. 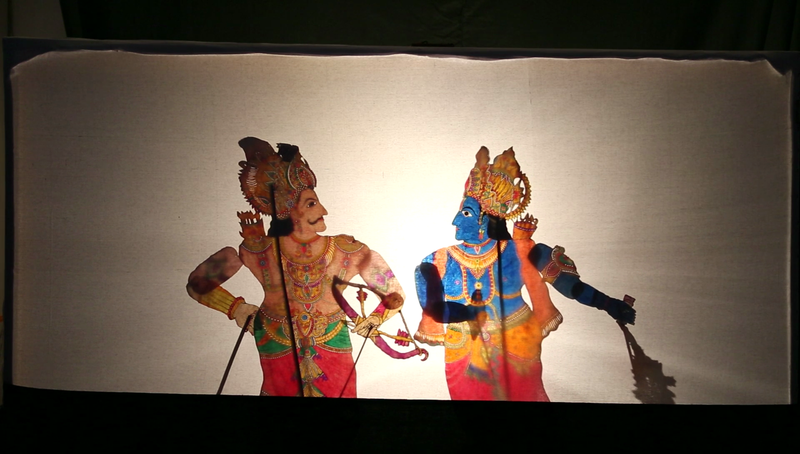 The Javanese version of the Mahabharata, called Bharatayudha (The Bharata War), and the Arjunavivaha (Arjuna’s Wedding), is used in live theatre (wayang wong or orang) as well as in puppetry and shadow theatre. In Bali, each episode gives rise to independent performances where we find the same titles of Bharatayudha and Arjunavivaha, etc. In all of these countries, the Mahabharata contributes in creating a communication between different religious ideals and synthesizes cultural values (see also Wayang). 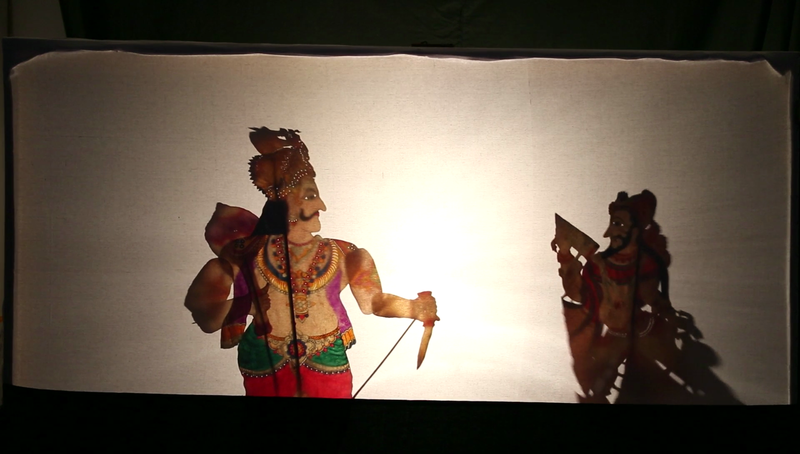 Today, artists foreign to Indian culture draw from the Mahabharata to ask a series of questions especially about war. 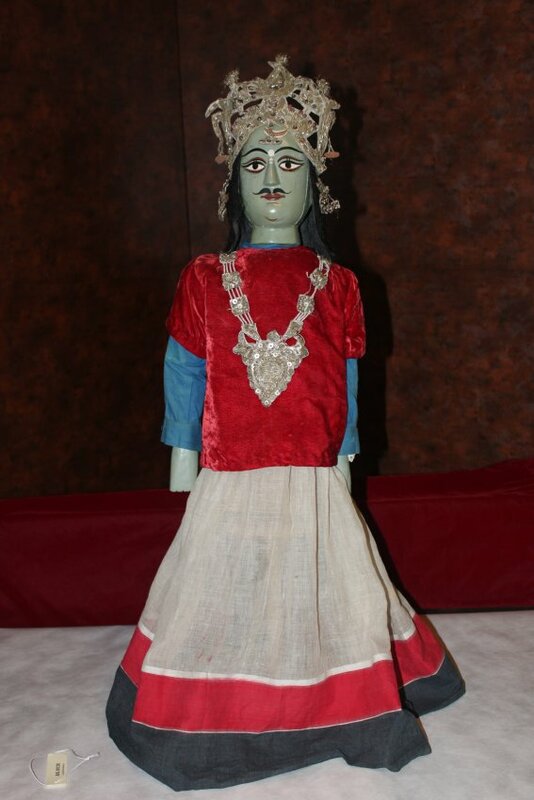 In Italy, then in France, Massimo Schuster created his “own” Mahabharata (2003), with puppets by Andrea and Enrico Baj that were non-articulated, placed on a pedestal and moved about to accompany the storyteller’s narrative. 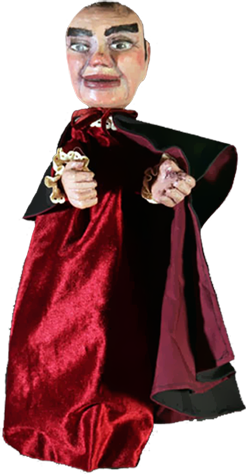 Carrière, Jean-Claude. Le Mahabharata. Theatrical adaptation (creation at Festival d’Avignon), Centre international de créations théâtrales, Paris, 1985, 4 fascicules. Dumézil, Georges. Mythe et épopée. L’idéologie des trois fonctions dans les épopées des peuples indo-européens. Vol. I. Paris: Gallimard, P.U.F., 1968. Hopkins, E.W. The Great Epic of India. Calcutta, 1901, rpt. 1969. Le Mahābhārata, extraits. Trans. French, J. M. Péterfalvi, M. Biardeau, ed. 2 vols. Paris: Flammarion, 1985-1986. Le Mahâbhârata. Texts trans. from Sanskrit and annotated by Gilles Schaufelberger and Guy Vincent. Tomes 1 to 3. Québec: Presses de l’université Laval, Éditions de l’IQRC, 2004-2005 (publication pending). The Mahabharata. P. G. Roy ed., trans. English. 8 vols. Calcultta, rept. 1919.